Universal Yoga started in 2004 when Charlotta completed her Teacher Training Certificate and moved into the village, initially we ran classes at the Conygre Hall and the Congregational Church Halls in Timsbury, only in 2008 did we get a space of our own at Red Hill, soon outgrown, we decided to move to Dunkerton Hall, a beautiful little parish hall which we get to have all to ourselves. Universal Yoga, as the name implies is a centre for everyone, young and old, pregnant and babies. We have male and female teachers to cater for everyone. We are all form the Sivananda lineage and we strongly believe in the yoga of synthesis, meaning that each class should be a combination of postures, relaxation, breathing exercises and sometimes meditation. Both Charlotta and Becky are Senior Yoga Teachers and as such, run a Teacher Training course every year. Emma Farrell runs a Pregnancy Teacher Training course on an annual basis too. 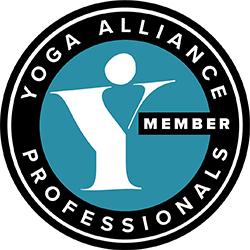 We believe that nothing should stand between you and your yoga class, so if there are any financial concerns, please get in-touch to see if we can help in some way. Yoga means union, union of body and mind, union of you and me and union of us all with the planet. With these kind of connections deeply rooted in our minds and hearts, we become kinder and more compassionate people with a focus on wellbeing for all.